There’s a colossal battle going on out there. 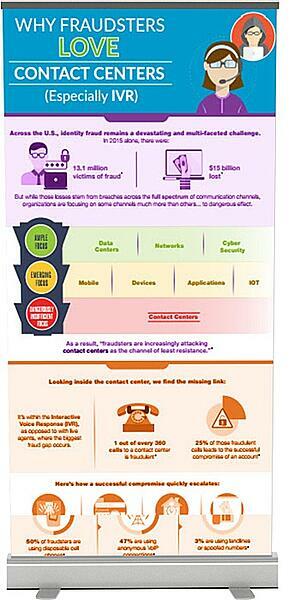 And the smart money’s on brands that get the jump on fraud before it victimizes consumers and organizations as well. Identity theft cost consumers $24.7 billion in 2012, more than all other property crimes combined, according to the Bureau of Justice Statistics. Between 2005 and 2014, there were over 4,900 data breaches, and 670 million records exposed, according to the Identity Theft Resource Center. Even when detected, 40 to 50 percent of victimized companies don’t recover fraud-related losses, according to the Association of Certified Fraud Examiners. The pessimists may view contact center shenanigans as a cost of doing business. But it doesn’t have to be that way. 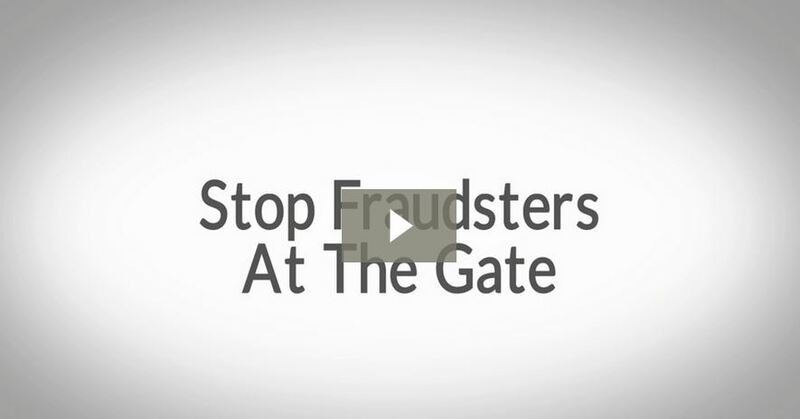 Nope, at Contact Solutions, we believe that reining in fraud isn’t a spectator sport. You have to work hard to defeat it. Which begs the question: how does your contact center measure up? What are you doing to stop contact center shenanigans that victimize customers and take away from your bottom line as well? Savvy payment processors, card program managers, and financial services companies are fighting back with smart, new technology from Contact Solutions. We’re talking disruption of conventional fraud protection systems here. Real-time, multi-layered, fraud- fighting technology that stops contact center fraud in its tracks. We all do it. Pay bills online, or make purchases via mobile phone. Then, we provide information about our credit card details and address, including ZIP code to verify our identity. Unfortunately, the fraudsters are doing everything they can to hijack as much of this information as they can. Think Target, Neiman Marcus and Home Depot. The situation has evolved into an epic battle, a GINORMOUS effort by organizations to safeguard personal consumer information against identity theft and fraud. Fortunately, you can get a jump on the fraudsters with Adaptive Fraud Prevention technology from Contact Solutions. 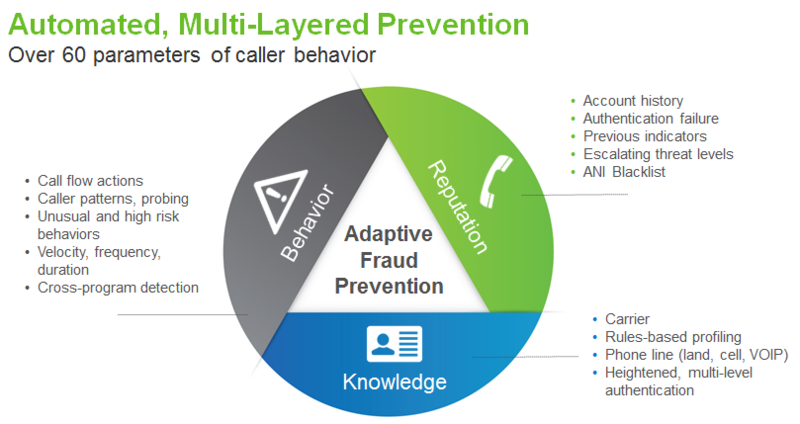 With its multiple layers of protection, Adaptive Fraud Prevention allows you to detect and take action against suspicious upstream activity in the IVR in real time-- before account takeovers occur, and before customers are victimized by fraudulent activity in their accounts. Our Adaptive Fraud Prevention solution is based on an IVR specific threat matrix developed with industry experts, and validated through data mining. 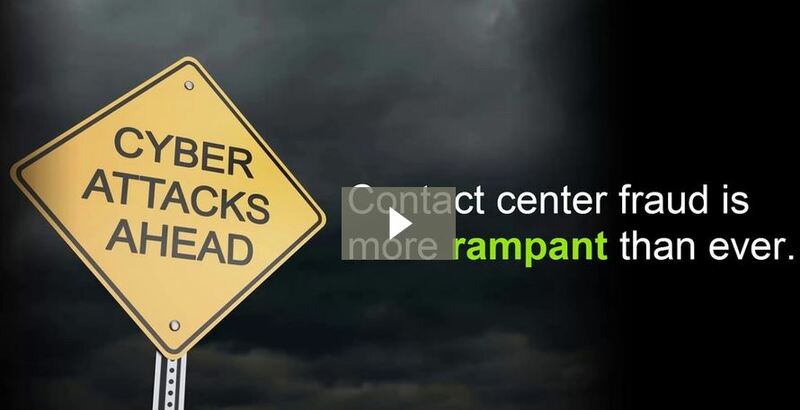 Through partnerships with our technology partners, AFP delivers timely fraud prevention in the IVR to take security risks out of your contact center operations, fraud management, and your bottom line as well. Detecting contact center fraud before it happens is hard work. Stopping it in real time is even harder. You can do both with Adaptive Fraud Prevention technology from Contact Solutions. No fraud-fighting honcho should operate a contact center without it. 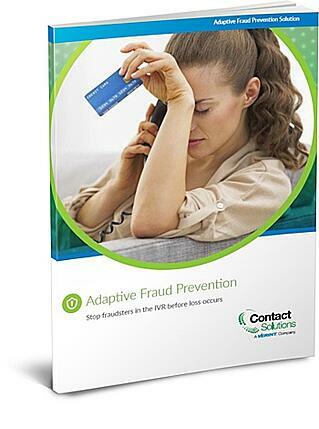 Download your free copy of the "Adaptive Fraud Prevention" eBook.